MISSION: To seek individuals that have displayed leadership, commitment to the community and personal achievement for scholarship awards. 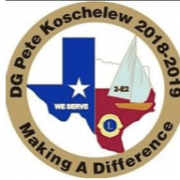 Scholarships are open to seniors in the Grapevine-Colleyville Independent School District (GCISD), others that live within the geographic boundaries of the City of Colleyville who attend parochial and private schools, and members of the Colleyville Leo Club who have served 2 or more years. Additional opportunities are available to Tarrant County College students. Please contact TCC or Colleyville Lions Club for additional information. 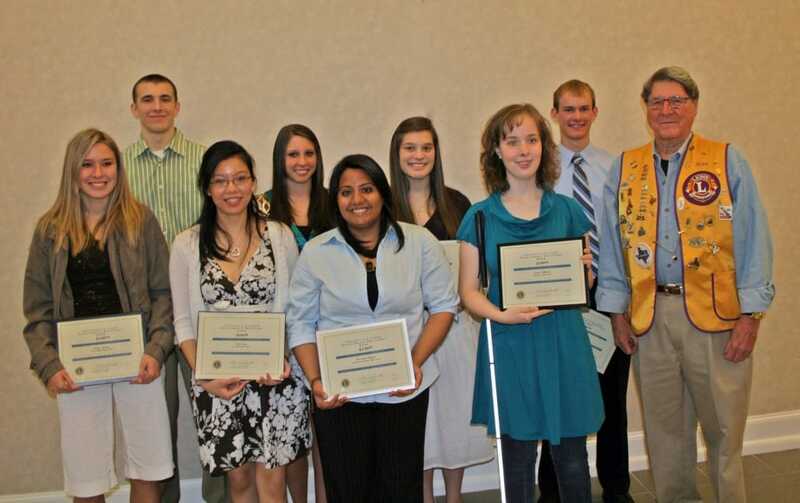 The Colleyville Lions Club has awarded scholarships for over a decade. Scholarships may be awarded for collegiate and technical/vocational post high school commitments. 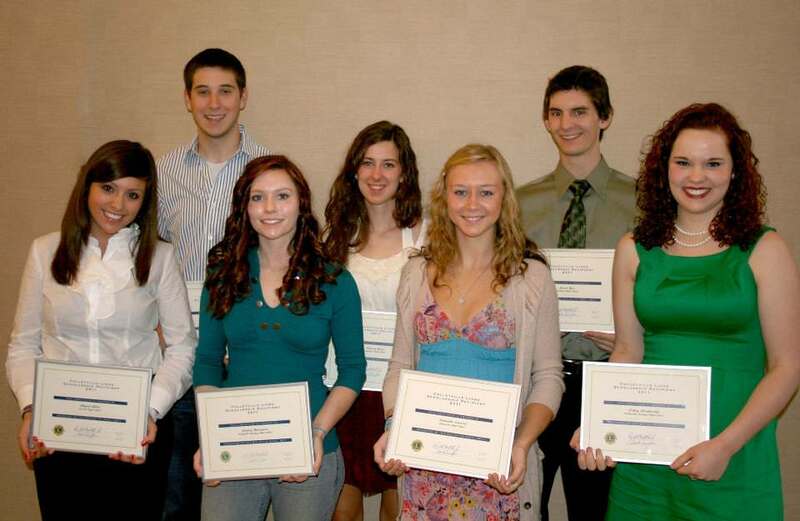 Annually, scholarships are awarded based on fund available and the number or worthy candidates. 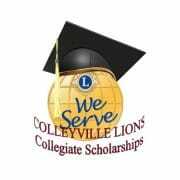 Counselors are encouraged to assist in the identification of deserve students for the Colleyville Lions Scholarships. While academics are one of the considerations for a scholarship, other attributes included need, character and presentation carry significant weight with the Scholarship Committee. ALL APPLICATIONS MUST BE COMPLETE AND POSTMARKED NO LATER THAN APRIL 1, 2019. 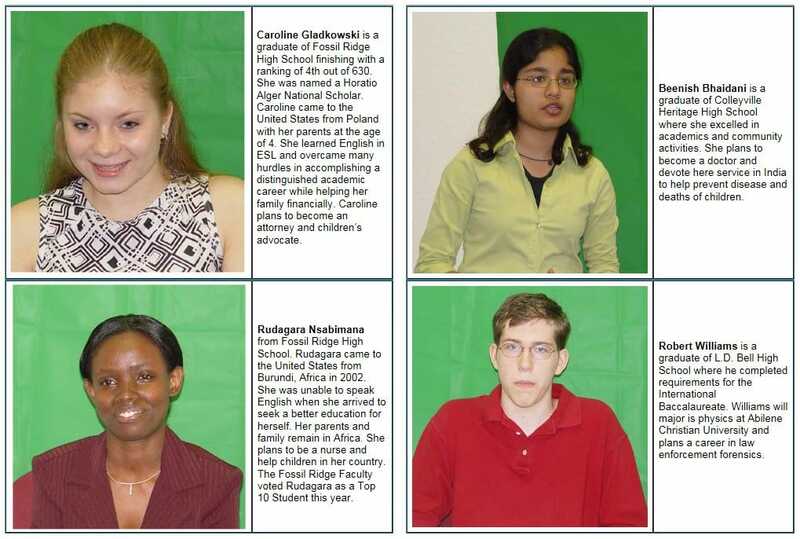 An application is deemed complete if ALL forms in the package are complete with a photo attached to page2, the Counselor/Principal form is filled out and signed, a personal statement and three letters of recommendation are attached and the Acknowledgement of Terms form is signed by the applicant and a parent if the applicant is under the age of 18. Interviews of eligible candidates will be held on a Saturday (To be announced) in late April or early May in Colleyville. Candidates will be contacted with the location and interview time. Interviews will typically last 30 minutes. Recipients will be notified within 72 hours. A Certificate will be presented at a regularly scheduled Colleyville Lions Club meeting. THIS MAY BE REDEEMED FOR THE VALUE OF THE SCHOLARSHIP UPON PROOF OF ENROLLMENT AND YOUR SCHOOL IDENTIFICATION NUMBER. AT THAT TIME THE FUNDS WILL BE DEPOSITED INTO YOUR SCHOOL ACCOUNT FOR TUITION, TEXTBOOKS AND RELATED SCHOOL COSTS. The Colleyville Lions Club Scholarship program is approved by the Colleyville Lions Club Board of Directors and funded by the Colleyville Lions Club Foundation. 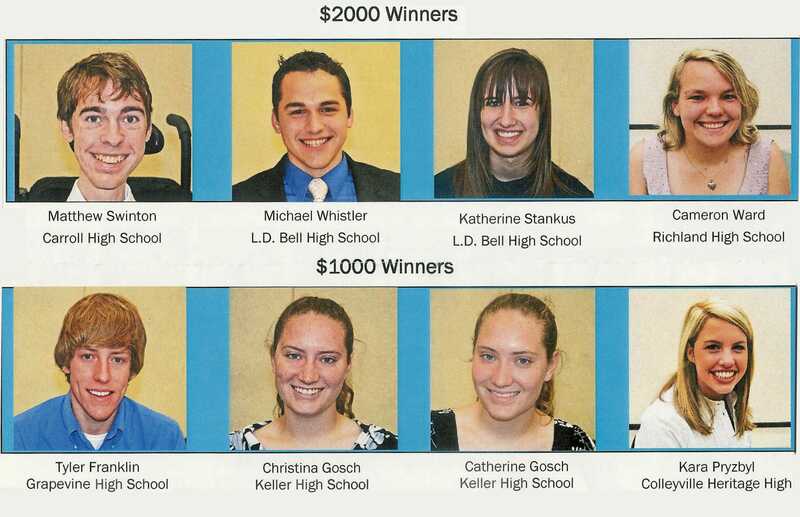 The process is administered by a Colleyville Lions Scholarship Committee that recommends final recipients.